Pearl (Perle) cotton has caught on with the sewing world. I’m not certain how to spell the word (both spellings are used online!) but I do know what you need in order to hold the balls of cotton. 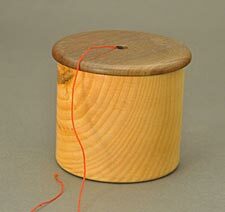 I’ve designed a lidded box with a fitting lid that has a hole in the center to dispense the cotton. 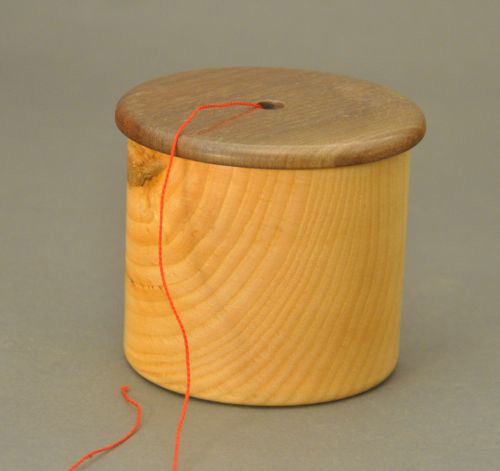 The lid is rather heavy so it stays on the box when you pull the thread through the hole. 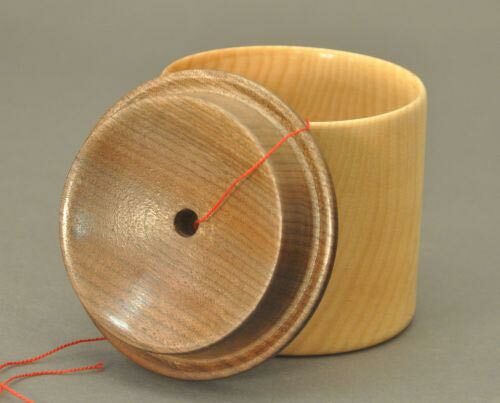 The inside of the box is 3" in diameter by about 3" tall. They are made of Black Cherry with a Black Walnut lid. These would be equally at home in the lair of a seamstress who needs various threads for sewing as one could easily dispense multiple threads from the box. I can also design and manufacture other sizes for these boxes on request.